Conference started on a lively footing with much debate (in the form of many points of order) calling for conference to reject the CAC report owing to the omission of open selection and the fact that many delegates with disabilities hadn’t received large print copies so couldn’t review the report, it went to a vote and the report was accepted all be it narrowly. Jennie Formby outlined what she has done to ensure victims of sexual harassment are taken more seriously within the party, alongside dealing with antisemitism swiftly and without compromise. She also shared the exciting news that high-profile voter registration campaigns are in the pipeline, as well as new community organiser roles across the country. Treasurer Diana Holland explained that the Party is now completely debt-free she also made clear the funds that have been raised by the increase in membership did not pay back the debt and are ring fenced for election funds. The Women’s Conference brought a motion, which related to women and the economy. 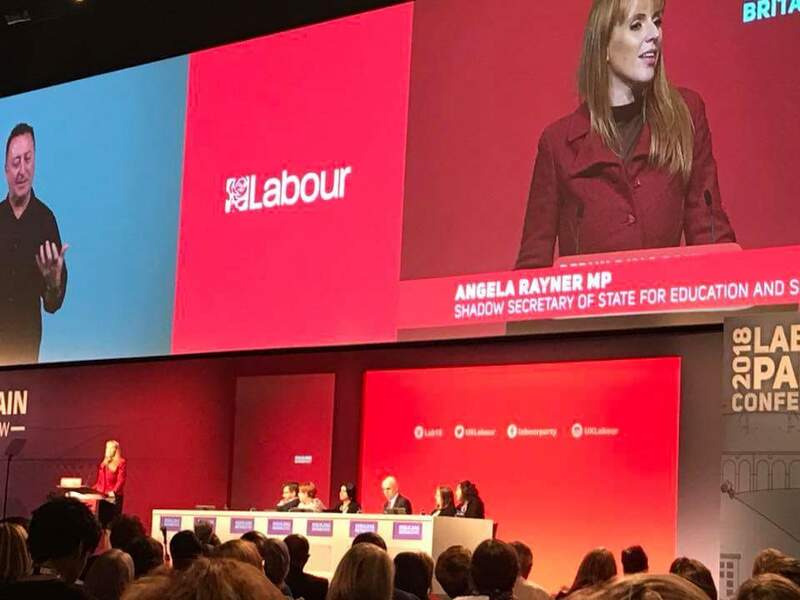 It highlighted the disproportionate effect of austerity policies on women and was passed unanimously following some inspired speeches from a diverse group of women. The overwhelming feeling at conference is one of optimism and a real sense that a change is coming. 2. When selecting a candidate for a general election in a current Labour seat, the sitting MP shall be automatically put on the ballot paper unless one third of constituency branches OR affiliated branches trigger a selection process. Despite many members being unhappy with these compromises, the democracy of our party spoke clearly and we moved onto the rest of the day without any disagreement or controversy. Carwyn Jones gave his final conference speech as First Minister for Wales followed by Richard Leonard, Leader of Scottish Labour. They highlighted important lessons to be learnt from the devolved parliaments that can also be applied to England. Len Mcluskey, General Secretary of Unite, spoke in support of the motions put forward, saying ‘the British people want that agenda put into action…wouldn’t it be great if all our party were united together’. He received a standing ovation from the whole hall for his strong words against the damaging efforts of members of the Parliamentary Labour Party to undermine the leadership and frustrate the forward movement of the party. – Large companies will transfer shares into an inclusive ownership fund, controlled by workers, giving them a stake in the company and paying out workers’ dividends. The speech culminated with a commitment to end Private Finance Initiatives (PFIs), end the treasury bias towards London and make sure companies sign up to a transparency commitment for paying taxes. The reaction to his speech was one of excitement in the hall, especially when he made the point of standing shoulder to shoulder with Jeremy Corbyn, saying that it had been hard to see the way the media had treated his friend. Members on the floor could see the trust between the two men, reaffirming confidence in how a Labour government could hold strong through a future onslaught of the establishment. The afternoon session saw a debate on ‘Social Security and Skills’ and ‘School System’ motions. Many anti-academy speeches relating to the school system, including by young people (the youngest speaker was 15) with direct experience of the failures of the current school system. Their voices chimed with those of teachers who had worked in the system for decades and felt completely despairing at how fragmented and damaging it has become. We witnessed delegates who had been on the brink of suicide due to failing DWP assessments. Universal credit was resoundingly criticised as punitive and unfit for purpose by all speakers on social security issues. It was absolutely heartening to see such a broad spread of delegates speaking, with virtually all of them being incredible orators, however the common theme was that everyone in the room was impassioned and angry with a callous and incompetent government, we were there in our thousands with a vast spread of opinions and backgrounds united in the desire to change our country to the betterment of the many! It is worth commenting on how the Brexit motion was reported in the press. Many reports tried to indicate that the party was divided on this motion, but actually it represented the agreement between many delegates to composite (merge) all their motions into a single one. The compositing meeting took 6 hours; with many delegates we met feeling proud to have been a part of such a democratic process. Rebecca Long-Bailey, Shadow Secretary for Business, Energy and Industrial Strategy then discussed Labour’s industrial strategy. She announced that Wi-Fi would be free in town centres and bus travel without cost for under 25s. Alongside eradicating ATM charges, preventing post office and bank closures and using public procurement to support home grown supply chains. Lastly, she addressed climate change, decisively stating that “the market is uniquely incapable of addressing climate change”. 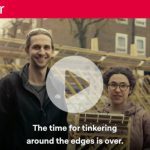 Labour will set the target of net zero emissions by 2050. Lord Alf Dubs the spoke inspiringly on his campaigns to welcome child refugees into the U.K. before the debate on Palestine and Windrush began. There was an amazingly stirring speech by he delegate moving the Palestine motion with the hall rising to its feet as countless delegates waved Palestinian flags in solidarity with these oppressed people. Emily Thornberry, Shadow Foreign Secretary, began her speech with strong words against a Tory hard or no-deal Brexit. 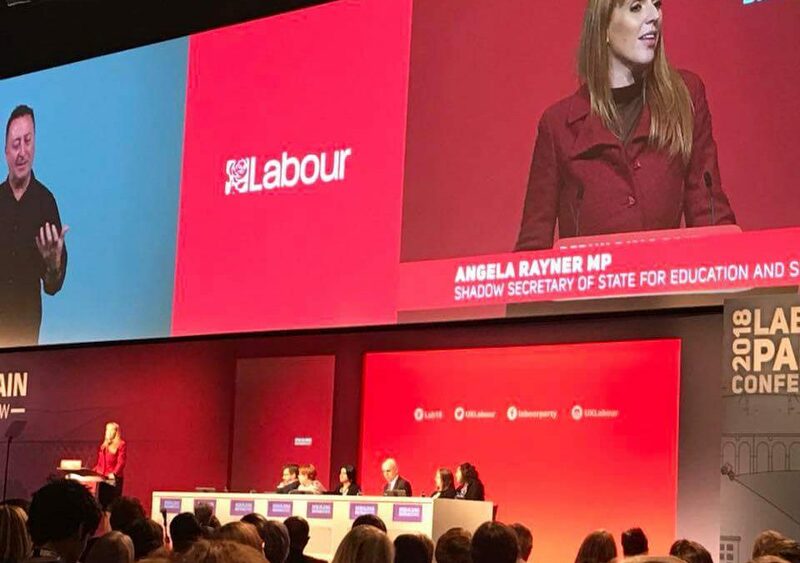 She went on to condemn weapon sales to Saudi Arabia, assuring delegates that Labour will never go back to supporting illegal wars without cause. Reminding delegates that the Labour Party was there against Franco, in Cable Street, against Oswald Mosley, against the National Front and the BNP, cries of ‘No Pasaran!’ came from the floor. Dianne Abbott emphasised that law and order are key for our communities as crime often affects the vulnerable most. She confirmed that Labour will rebuild community policing as the front line against all crime, including terrorism. She paid tribute to fire fighters at Grenfell to strong applause. Pointing out that toxic rhetoric on borders led directly to the Windrush scandal and maintained that we won’t rest until there is justice for Windrush, and hostile environment is ended, with detention centres like Yarl’s Wood and Brook House are closed. There will be no bogus numerical targets for immigrants but instead clear criteria based on skills gaps. It was welcome to hear her mention that immigrants don’t drive down wages, but it’s predatory employers and weakened trade unions rights and freedoms. You have until *THIS FRIDAY* to register to vote in local elections on May 2. It takes 2 minutes. School cuts are making it impossible to balance the books! The Constituency Labour Party (CLP) operating within the Parliamentary constituency of Gosport, which includes Gosport itself, Lee-on-the-Solent, Stubbington, and Hill Head. Gosport CLP comprises two branches covering the north and south of the constituency.